The flyer’s directions said go south down Main Street, then at the edge of town go three clicks further, and make a left on an unmarked dirt road. It looked like we were headed straight into a DMZ. The dirt road was there and pulling out of the entrance was rural America’s staff car of choice: the ratty old pickup truck. Two sketchy looking occupants were in the cab; local security I assumed. A metal tag adorned the truck’s grill: Western Pennsylvania Machine Gun Association. They must be legitimate. We passed by them and after a mile came to a large field that opened up against the earthen wall of an abandon strip mine. Spectator parking was on the left. I put my car at the end of a long row of American iron and nervously noticed mine was the only import. I didn’t want it dragged out for target practice—kind of like the Harley guys do at Daytona’s bike week when they hang Jap bikes from a post and then let drunken spectators swing a sledge hammer at them. At the front of the field were about a hundred well armed good old boys—each having his own six-foot square on the firing line. In these squares were stacks of armaments. AK47s, Thompsons, Brownings, Stens, etc… plus boxes of shells to feed them. A rarity included a water-cooled 1898 Maxim on a tripod. Anything you could imagine in Jane’s was there. (Jane’s is the military equivalent of the farmer’s almanac, by the way.) All persons were quietly engrossed in prepping their weapons of mass destruction. Looking out at the targets, I could see this would be more exciting than shooting up old tin cans. Before the forty inch high earthen wall backstop was a scattered mess of junked cars, refrigerators, boats, metal filing cabinets, televisions, and so on. Explosives charges were placed in some of these items. At closer range, in the middle of the field, were a bunch of propane tanks like you would see on the family barbecue. Each was filled up. Finally, near the front, were small dirt mounds with rectangular rows of clay pigeons. This was for the submachine gun contest between the main shoots—the goal being to vaporize as many discs possible in a given time of twenty seconds. The range master blew his whistle and got everyone’s attention: first shoot in five minutes. I took advantage of this lull and went over to the snack bar to get hotdogs and Pepsis for me and the Missis. We ate quickly. The whistle blew again and all HE-double hockey sticks broke loose. Across the field, debris flew. When direct hits occurred to the hidden explosives, thirty inch high mushroom clouds billowed into the air. 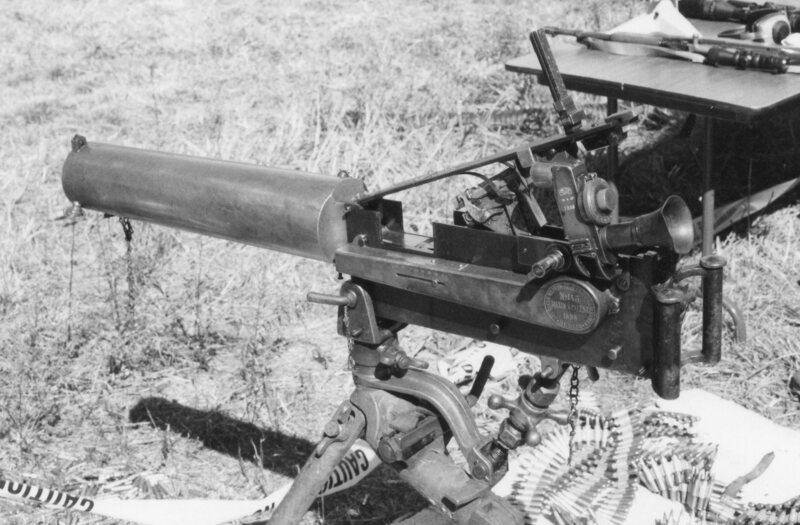 The thundering boom-boom-boom of a .50 caliber could be heard above the lesser guns. 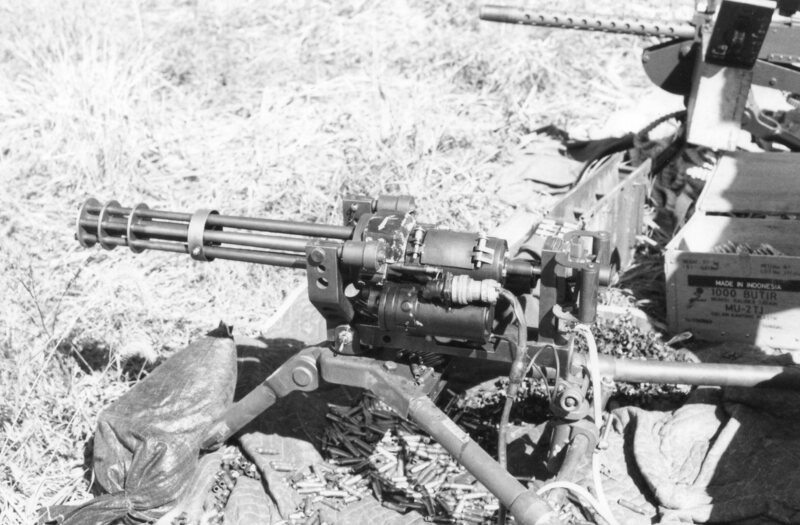 Against the fifty, one guy had a GE mini-gun—six-barrels spinning around by means of an electric motor, spitting out lead, and sounding like a crazed sewing machine running amuck. After about fifteen minutes, therange master signaled and all stopped. The dust settled. And even though everyone wore hearing protection, it seemed like another fifteen minutes before any conversation started up. Round one was pretty cool and there would be three more. My other half didn’t share the enthusiasm. I agree to go after the next round. 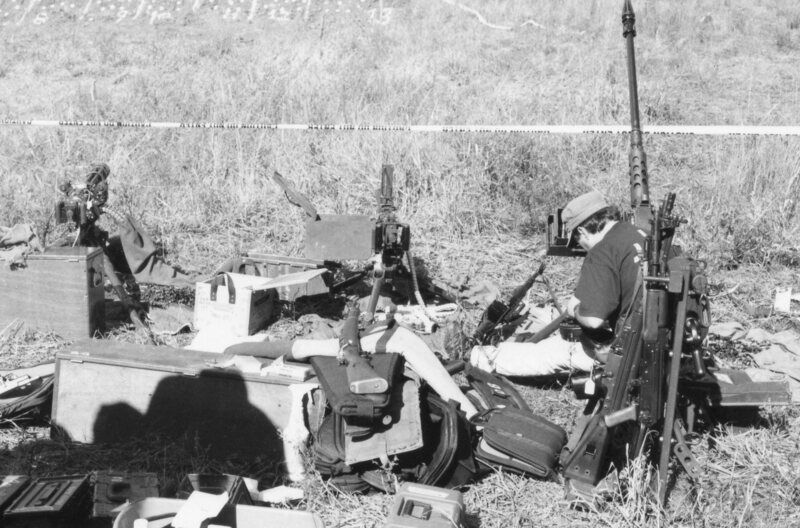 On second blast, I got to shoot a tripod mounted air–cooled Browning. Press your thumbs on dual paddle triggers and let loose. The metal belt of bullets quickly disappeared. Lots of dirt flew up but not sure if I hit anything. I got my $5.00 worth and it was time to go. All in all, a safe, controlled, and well organized event. I bought a souvenir t-shirt to support the cause: nothing I’d wear to church but certainly attire to spark conversation. As we drove away, the girlfriend sighed with relief. It was a safe escape in our Japanese car with no bullet holes! Look for the Brownsville Chamber of Commerce to print postcards soon. The Market Street Arts Festival in Brownsville, PA.